Release Train 5/2/18 | CommentSold Help Center! What a way to kick off this month!! This RT has got some awesome stuff for yall. Lets check it out! Easily view your most recent Instagram comments and how they're being treated on the dashboard. AND how many comments we have picked up on a particular post from the Instagram post tab. 2. LinkingLinking your Instagram posts is in a hot new spot! You'll find the new "Instagram" tab under, "Link to Post" in your Products tab. 3. RegistrationThe most important part! 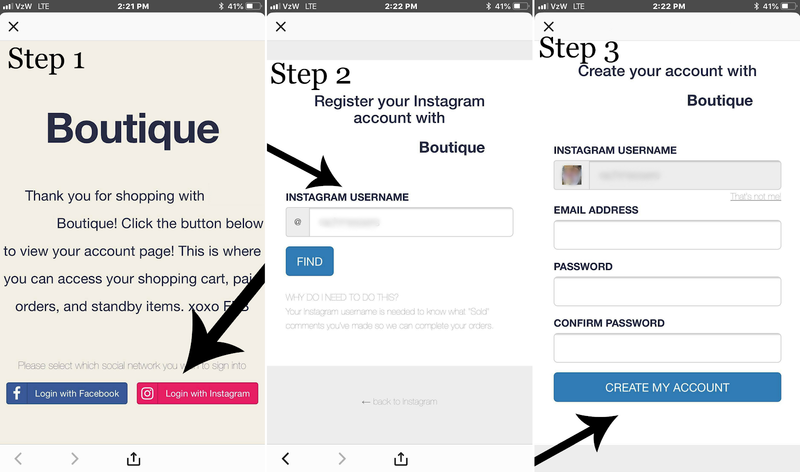 It's now easier than ever for your customers to register their Instagram account with Commentsold. Here is a step by step of what your customer will walk through. It is important to note, they are not giving us their password. And they are not using their Instagram password, its new! Facebook Live UpdateYou no longer have to have a caption on your video for Commentsold to pick it up. Although we highly suggest including your link so its easily accessible! Thanks guys! Keep your suggestions coming! This is all because of YOU!